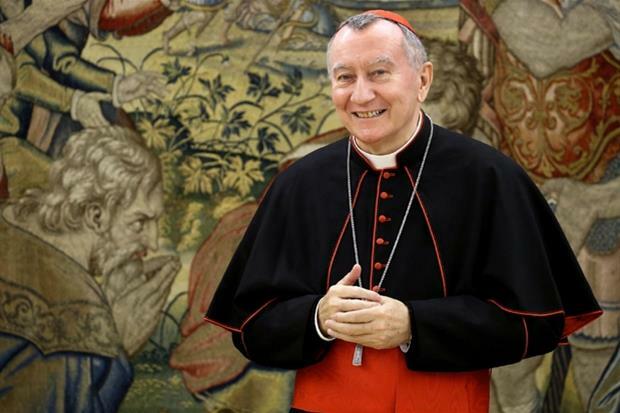 From the 21st to the 24th of August 2017 the Secretary of State, His Eminence Cardinal Pietro Parolin, will be visiting the Russian Federation upon invitation of the Authorities of the Country. He will be accompanied by the Rev. Msgr. Vivaldas Kulbokas, Counsellor of Nunciature, Official of the Section for the Relations with States of the Secretariat of State. The purpose of the visit is to meet the highest Civil Authorities and the leaders of the Russian Orthodox Church. It will be also an occasion to express the spiritual closeness of the Pope to the local Catholic community. During the various meetings, in addition to bilateral issues, matters regarding the international situation, and, in particular, the search for peaceful solutions to current conflicts with a specific attention to humanitarian issues will be discussed. On Monday 21st August, a meeting of the Cardinal with the Catholic Bishops of the country is scheduled, as is, in the afternoon, a Holy Mass at the Cathedral of the Immaculate Conception in Moscow, followed by a convivial moment with representatives of Clergy and Laity. On the same day a meeting with Metropolitan Hilarion of Volokolamsk, President of the Department of External Relations of the Patriarchate of Moscow is also scheduled. The day of Tuesday 22nd August will be dedicated to a working session with the Minister of Foreign Affairs Sergey Lavrov and, in the afternoon, a visit to the Patriarch of Moscow, Kirill, will take place. Wednesday, 23rd August, the Secretary of State will travel to Sochi to meet President Vladimir Putin. Further updates, news and articles about this visit of the Secretary of State will be given on our Facebook page.